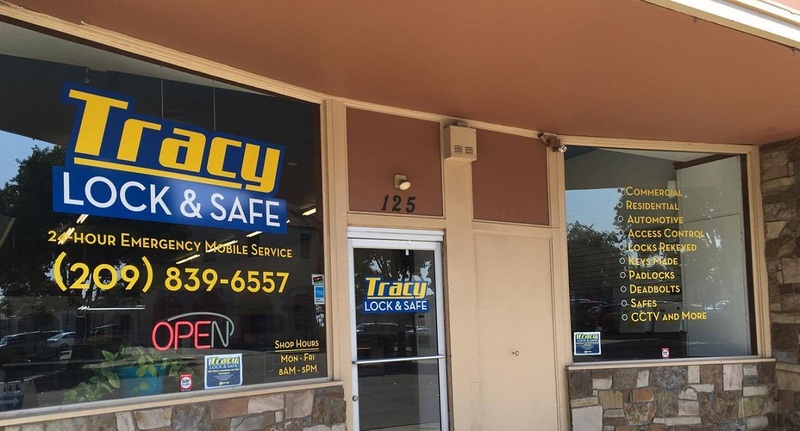 Welcome to Tracy Lock & Safe’s website. We’ve been the Bay Area’s most trusted locksmith since 1977. In addition to our full service locksmith shop location, we offer 24-hour, seven-day-a-week mobile locksmith service. Servicing the city of Tracy, as well as the surrounding cities, such as Mountain House, Lodi, Stockton, Manteca, Modesto, and Turlock. We stand behind our work 100%. Unlike most other locksmiths, we offer both free estimates (schedule permitting) and one-year parts and labor warranty on all our work. Give us a call or stop by today to see what we can do for you! Our locksmith company is licensed with the Bureau of Security and Investigative Services (LCO4888) and the California State Contractor’s License Board (Lic 691700), fully bonded and insured. This makes us fully qualified to work for your organization in providing sales and service of locks, keys, video surveillance camera systems, door closers, master key systems and access control systems. We also work on vehicle locks for any fleet or company car needs you have. We have 24-hour mobile service available and a fully staffed shop and showroom which is open during regular business hours to serve you. Our experienced technicians are professional, prompt and courteous.